Ancient Chinese Architecture | Cool Kid Facts . When you hear the word architecture, you should think of it as the science and art of designing and building structures. The Ancient Chinese had a very specific style of architecture that can be put into three different categories: Imperial, Common, and Religious. Though there are definite differences between these three different categories, they also shared lots of similarities as well. Through this shared system of the building, the Ancient Chinese were able to make many different structures that have stood for thousands of years. Chinese Architecture can be broken down into three different categories. While all of these different buildings shared common building techniques, they are also unique in their construction. There are several distinct features that set Imperial buildings apart from other types of structures. First of all, they are much larger than any other types of buildings. Secondly, Emperors loved to decorate their homes with dragons, as this was a sign of their imperial might. Finally, you can always tell an Imperial building by the color of the roof tiles. Almost every Imperial building utilized yellow tiles, as this was thought of as a royal color. The homes of commoners were usually much smaller than imperial homes, making them easy to distinguish. They would usually have a central courtyard that was dedicated to a shrine for deities and ancestors. The building would usually have two wings that included a living room, dining, room, kitchen, and sleeping area. Religious temples were built in a similar fashion to palaces. The biggest difference is that they would have Buddha statues rather than dragons. Monasteries would also have a front hall and then a great hall or shrine. Sleeping quarters for monks and nuns would be to either side of this great hall. Even though buildings might have differed in size depending on who lived there or the use of the structure, they also followed similar building techniques and themes. Whenever the Ancient Chinese were going to build a structure, they always followed similar steps, regardless if the building was for an emperor or a farmer. This included building a timber frame and securing it into the ground by stacking compacted earth around the supports. They always made sure to make each wall independently supported from the others, which made the buildings immensely strong and secure. All buildings were decorated with flowers, scrolls, and peaceful scenery, such as rivers. These walls were then covered in a glazed paint, which was used to protect them against moisture. One of the most important features for any type of Ancient Chinese architecture was the courtyard. This was true for commoners as well as royalty. Of course, depending on the size of the house where the courtyard was laid out, they were of differing sizes. If, for instance, the courtyard was for a poorer family, it would actually usually be a shared courtyard that multiple families would use. Each courtyard was built in an open rectangle, with plants and screens making sure that the layout would be different from every vantage point. The main door into a home, palace, or monastery was always built to face the south. The Ancient Chinese believed that by having their home and courtyard facing to the south, they would create beneficial energy for everyone who lived or visited the structure. 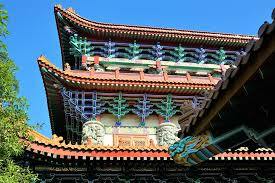 The pagoda roof is one of the most recognizable features of Ancient Chinese architecture. It is designed to mimic a mountaintop, with peaks, inclines, and levels. Surprisingly, the Chinese did not actually invent this roofing system. Rather, they borrowed it from India. 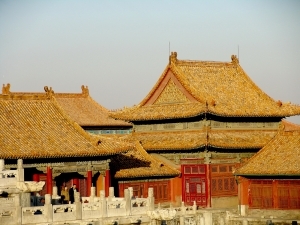 Ancient China has several famous examples of architecture that are still standing to this day. In this section, we’ll look at some of the most famous and ingenious designs from the ancient Chinese world of architecture. This is probably the most famous structure in all of China. The Great Wall is just that, a humongous wall that stretches across rugged mountains from a beach in East China to a desert in the West. This was obviously no small feat! It took many years for the wall to be completed. 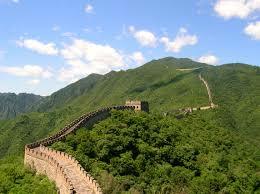 The wall was completed during the Ming Dynasty (1368-1644). It has watchtowers throughout its length. While it was originally built out of compacted earth and wood, it was later reinforced with stone. This made it a formidable obstacle that helped to protect ancient China from foreign invaders. 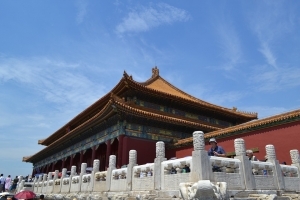 The Forbidden City is in the center of Beijing. It is, by far, the largest palace in the ancient world. It was built between 1406 and 1420 during the Ming Dynasty. It is comprised of approximately 980 wood and stone buildings. It is roughly 178 acres in size. The reason that it was named the Forbidden City is due to the fact that access to the complex was barred to almost everyone in China. The only people that were granted any sort of access were high ranking government officials and members of the imperial family. Only the Emperor could enter any section of the city whenever they wanted to. 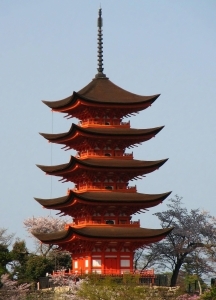 As you read earlier, the original pagoda design was from India, not China. It was adopted by the Chinese and has since become an integral part of their building process. 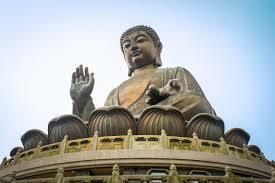 One of the most famous pagodas to ever be built in Ancient China is the Big Wild Goose Pagoda. 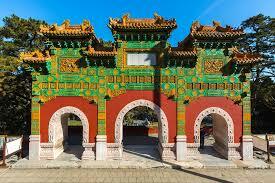 It was completed during the Tang Dynasty (619-907) as a Buddhist temple. It was used to house monks. It is a seven-storied brick pagoda that is miraculously built without the use of cement. It is 210 feet tall, which was huge for the time that it was built. 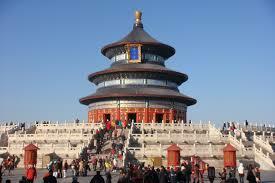 The Temple of Heaven was another large complex built during the Ming Dynasty around 1420. It was later enlarged during the Qing Dynasty. It was built so that the emperors could celebrate the Heaven Worship Ceremony, where they prayed for a bountiful harvest. The temple is actually larger than the Forbidden City. It was also designed to reflect Heaven and Earth. The northern half of the temple is meant to represent heaven, while the southern part is meant to represent Earth. This is why the builders decided to have the northern half higher than the southern. This is one of the oldest pieces of architecture in all of China. This mausoleum was built for the first Qin Emperor in 210 B.C.! This tomb doesn’t just contain the emperor alone, however. With him are thousands of terracotta warriors. It is believed that this army was constructed to serve the emperor in the afterlife. Each warrior is unique, with no two being exactly the same. The tomb itself is the largest of any mausoleum in all of China. This is due to the fact that it was built for the very first unifying emperor in the country’s history. It features a main pit and over 200 accompanying pits that house all of the terracotta warriors.